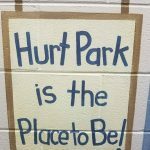 What are we up to at Hurt Park Elementary? 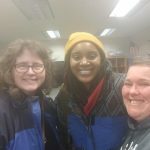 Girls Rock Roanoke Teams With Roanoke City School’s 21st Century Program! Today was a ground-breaking day for Girls Rock Roanoke…we debuted our after-school program at Hurt Park Elementary! Teamed with 10 5th graders, we will be running a 20-week program that is focused on helping the participants find their voice, and learn how to amplify it as they head to middle school. 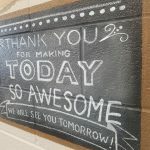 Local poet and After-School Programming Director, Ashley Rhame, has put together an amazing curriculum that involves journaling, self-care, and lots of guest workshop leaders! Our Executive Director Lacey Levy, along with board member and Outcomes Coordinator Hillarie Collins, will be there with her every week. We’ll have weekly updates here so you can follow the progress! Week 1: Introductions and surveys! The girls were excited to hear about what we do and seemed enthusiastic to have us at their school. We spent some time getting to know each other, and worked on their pre-surveys…outcomes matter! Hurt Park is a special place and we are incredibly excited to see what our future holds there.